Pneumonia is an infection of the lungs. A serious illness, it can affect people of any age, but is known to be especially dangerous in people who are older than 65, very young children, and in those who suffer from underlying medical conditions. While it's most common in the winter months, it can occur during other times of the year. It can also occur if you smoke. Community-acquired pneumonia, or CAP, is a type of pneumonia that develops in patients in the community instead of in a hospital, nursing home, or assisted living facility. There are about four million cases of CAP every year in the United States. Of these, around 20 percent will need hospitalization. Pneumonia is treatable in the majority of patients. However, if you have COPD, you’re not only at a higher risk from developing pneumonia but from developing serious and life-threatening complications from it. Streptococcus pneumoniae, Haemophilus influenzae, and Moxarella catarrhalis are the most common causes of pneumonia or exacerbations in people with COPD. The choice of antibiotic depends on the bacteria being treated and bacterial resistance to common antibiotics in the area. Giving preventive antibiotics to patients with frequent exacerbations is not recommended because this practice contributes to the development of bacterial resistance. In a study conducted by Jordi Rello, et al, chronic obstructive pulmonary disease patients who contracted CAP were hospitalized in the intensive care unit. 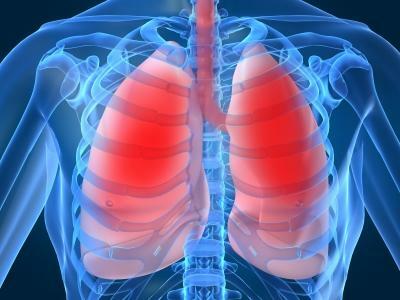 It was found that patients with COPD are at an increased risk of contracting pneumonia. Conversely, COPD is actually the most common comorbid disease in patients who are hospitalized for CAP. These patients also had higher morbidity and mortality rates and required mechanical ventilation when compared with CAP patients who did not have COPD. If you want to prevent pneumonia, talk with your doctor about receiving two vaccines. These are the flu vaccine caused by the flu virus and the Pneumococcal vaccine to lessen your likelihood of contracting the Streptococcus pneumoniae bacterium. Your doctor may also recommend that your obtain a pulse oximeter to measure your oxygen levels.